Long, long ago, I used to talk about how much I loved to bake and the peace and serenity that it once brought to me. What happened to that Ashley?! On dark and cloudy days I was known to bust out a baking pan, scrounge for whatever ingredients I could find, and whip something up just to have the aroma fill our home. Banana bread used to be the most common because our kids can NEVER go through a bundle of bananas and one or two were bound to turn black and be too soft. 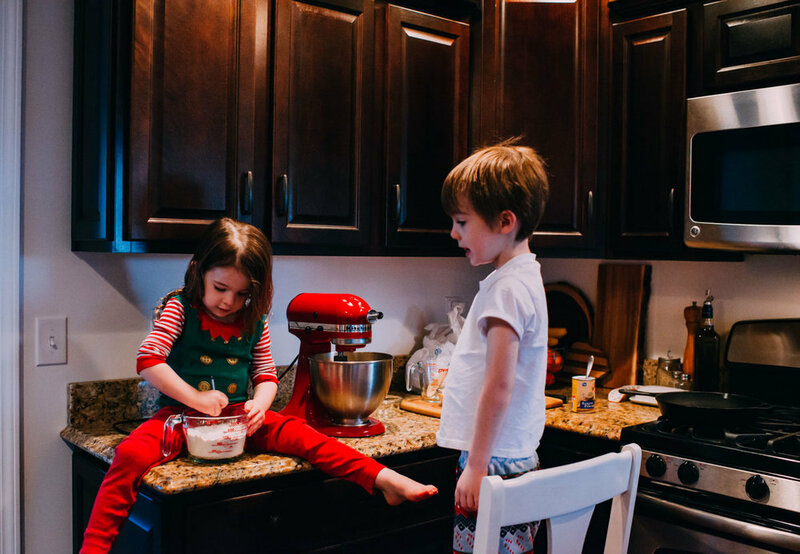 Even just last Christmas I was much more in the mood to bake than I currently am; maybe that's because I knew that Christmas break 2016 was the start of my 'Stay at Home Adventure,' and well, that season too has passed. I just realized that I sound like THE most depressed mother and woman ever as I type--sorry about that! The whole point of this post is to say, "HURRAY! I busted out the baking tools again!!" and I have a really yummy holiday cookie recipe JUST for you! So bear with me, I'm getting to the good stuff now. Through the multiple baking books that I have, and holiday magazines full of dessert recipes, it was trusty old Google who showed up for me last weekend. "Holiday cookie recipes" is what I searched, and I was brought to delish.com , where there were 80+ photos to look through. What caught my eye was MOSTLY that the recipe included mini M & M's. Heat oven to 375 degrees F. Line several baking sheets with parchment paper. In a bowl, whisk flour, baking soda, and salt. In a large bowl, beat butter and sugars until light and fluffy. Beat in eggs and vanilla. Beat in flour mixture until blended. Stir in chocolate chips and baking bits. Drop rounded tablespoons of dough 3 inches apart onto prepared baking sheets. Bake 9 to 10 minutes, or until cookies are browned at edges and no longer wet-looking in centers. Let stand on sheets for 2 minutes before removing to wire racks to cool.